JESA Family, winners of Imagine Festival 2016, is on tour for summer 2017. Stay tuned if you wanna see them in concert! 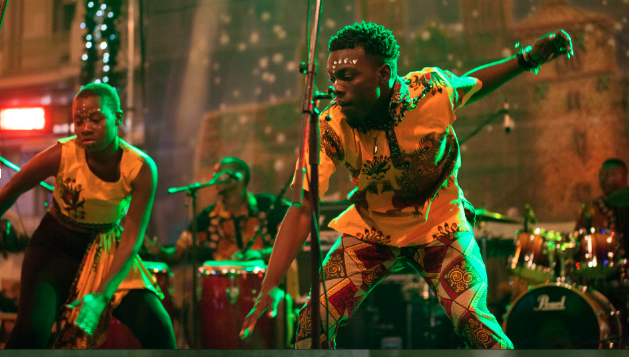 There’s something unbelievably refreshing about the Zimbabwean band JESA and their spirited music. Their live shows are energetic and fun, while pure honesty is pouring out of each of the 6 band members. I haven’t been this excited about a band in a long time. “Our style is inspired by our roots from different ethnic tribes in Southern Africa.” says JESA. Fellow music lovers, your weekend groove has arrived in the form of a trailblazing Zimbabwean band. JESA's music incorporates African folk with catchy bass line riffs, jazzy chord progressions and the penetrating warm sound of the world's smallest grand piano, called mbira. After winning the international final of the Imagine Festival 2016 in Zagreb, JESA is bringing its talents to Belgium and Spain. This is their opportunity to get their name out, and your chance to experience an invigorating performance. Their tour kicks off in the historic city of Ghent on July 8 and wraps up at Ethno Lab in Spain (Banyoles) on July 13 & 14. Check out JESA's forthcoming tour dates in Europe below.